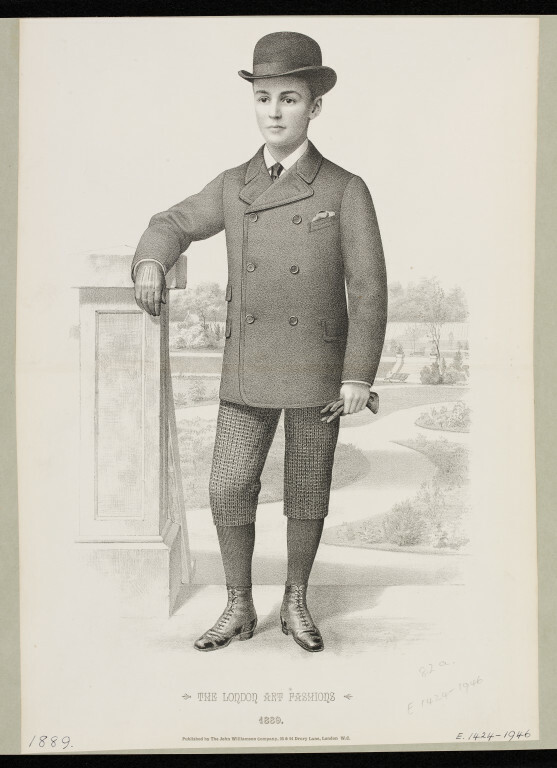 Fashion plate of a young boy in smart attire, wearing a bowler hat, plus fours, a thick blazer and leather gloves, with lace up leather boots. He is leaning against a balustrade in front of an ornate garden. 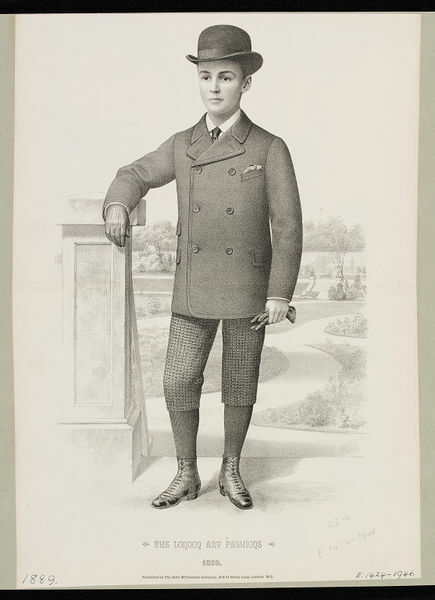 Part of a series of 1320 fashion plates of predominately men's fashion between 1832 and 1931. 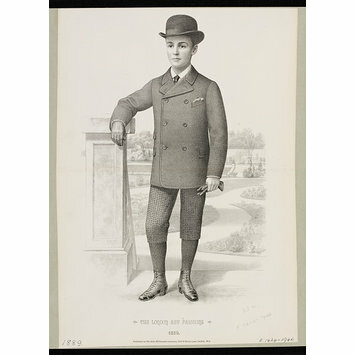 Fashion plate of a boy in smart dress and bowler hat entitled ''Design for the London Art Fashions' as part of a collection of 1320 plates, chiefly of men's fashion. Britain, 1889.